Your tour will start from Mumbai, where our Tour Representative will meet you and he will transfer you to Matheran by road. On reaching, you will have to get down from the car at base parking, and walk up to your pre-booked hotel, as automobiles are banned at Matheran. You can even hire a pony or hand-pulled rickshaw.Check in and spend the day at leisure. If you want, you can hike up to certain vantage points like panoramic point, which gives 360 degree view of the surrounding range and awesome views of sunrise and sunset. Porcupine Point, One Tree Hill, etc. 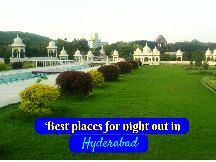 are some other points which you can visit, during this tour.nnOvernight at the hotel. 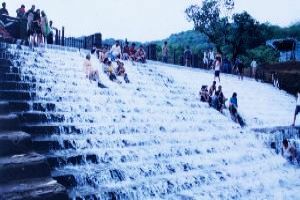 Today, after munching your breakfast, visit Charlotte Lake, visit is the main source of drinking water at Matheran. On its left bank, Pisharnath Mahadev Temple is located. Visit the Temple and seek the blessings of Gram devata or village deity, revered here. On the right banks, Louisa Point and Echo Point are situated. Climb up the crest and enjoy the breathtaking beauty of the place.Later check out from the hotel and start your journey to Lonavala. Once you reach there,nnCheck in to your pre-booked hotel and stay overnight. 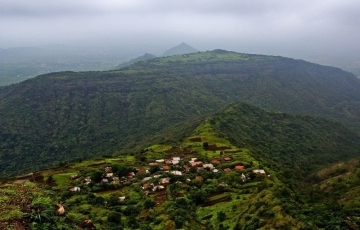 Today, after enjoying a delicious breakfast, visit some famous sites of Lonavala, Viz. 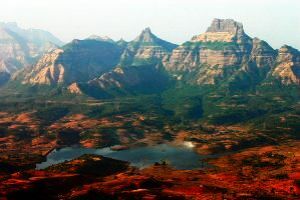 Karla Caves, Reywood Park, Bhusi Dam, Visapur Fort, Lonavala Lake etc. Later start driving towards Alibaug via Khandala. En-route, enjoy the scenic views. When you reach Alibaug, check in to the hotel and spend rest of the day at leisure.nnOvernight stay at hotel. Today you will visit Kihim Beach, Alibaug Beach, Kulaba Fort and Janjira Beach and after sightseeing check out from your hotel, and head to Mumbai by road, from where you can continue your onward journey.